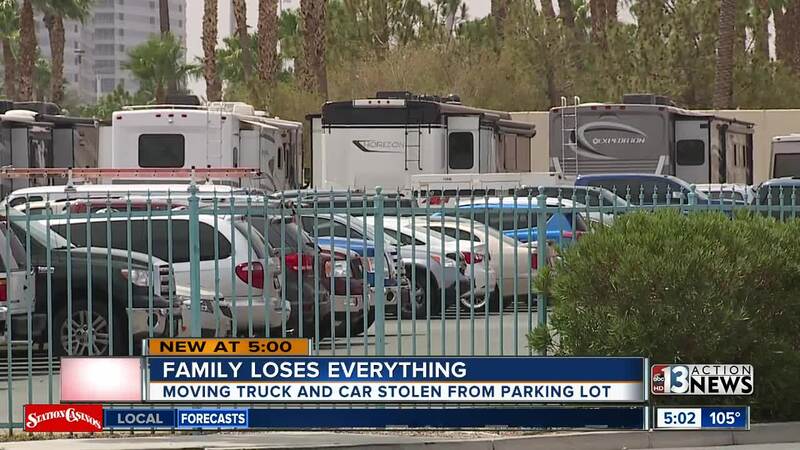 UPDATE ON JULY 11: The new Las Vegas family who's moving truck was stolen out of the parking lot at The Rio hotel-casino has been found, according to the family. NOTE: Since the story aired on Monday night, we've received numerous offers to help the family. At this time, they are still in a hotel and unable to accept donations. As soon as this changes, we will update this story. 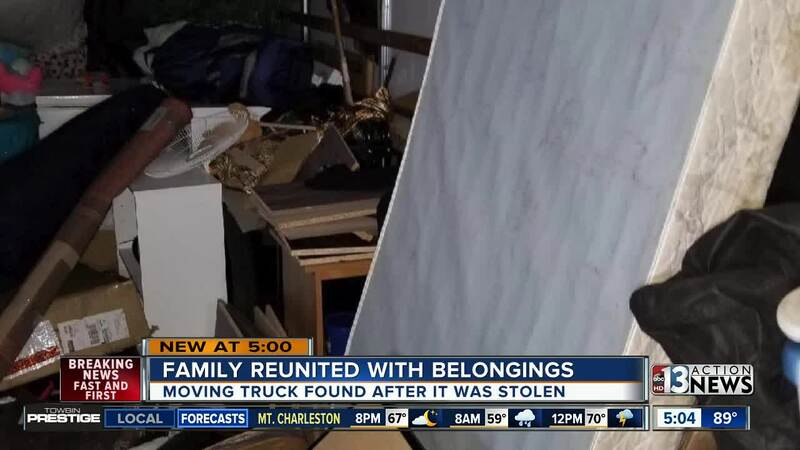 A family says they lost everything when their moving truck was stolen out of a hotel-casino parking lot, and are pleading for the return of their cherished items. It was supposed to be a fresh start for the Swann family, but now they are left to pick up the pieces in a new city. "We're like ok we found the perfect house where we want to go and now it's like where are you even start at this point,” says Jessica Swann. "I was just trying to be calm about it but when she said it's not here and they didn't tow it that's what I was like oh my god my life is over,” says Kevin Swann. Their moving truck was parked at the Rio hotel-casino, where the family was staying while they waited for their house to be ready to move into. They say Friday morning someone drove off in the truck, with the family’s car on the end. Inside the truck were household items, clothes, and other necessities, but what bothers Jessica the most is that all their irreplaceable treasures are gone. The family is hoping someone will spot the truck around town, and hope whoever is behind the wheel just gives back their cherished family moments. "We just hope that at the end of the day we can continue to make new memories and we also want our old pictures an old memories back and we hope they have a heart to return that stuff back,” says Kevin. We are aware of the situation and are in contact with metro. To assist in the investigation, we will provide relevant video and any other support possible.